Overview: If you are planning on being an urban crime fighter but still can’t justify the gas guzzling tendencies of most superhero vehicles, well your ride has (conceptually) arrived. 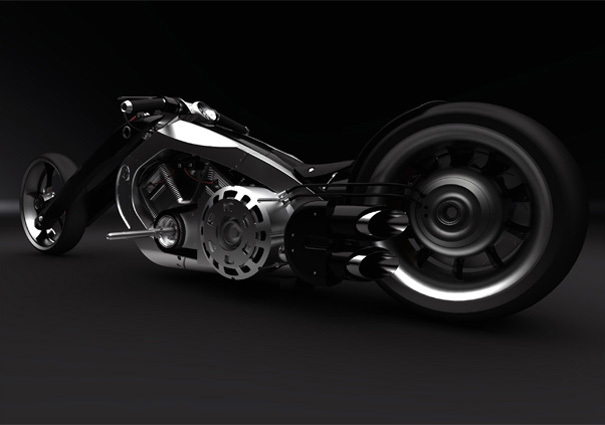 Designer Jean Baptiste Robilliard has rendered up this “CUSTOM BIKE CONCEPT” that would make Bruce Wayne’s attorneys take notice. 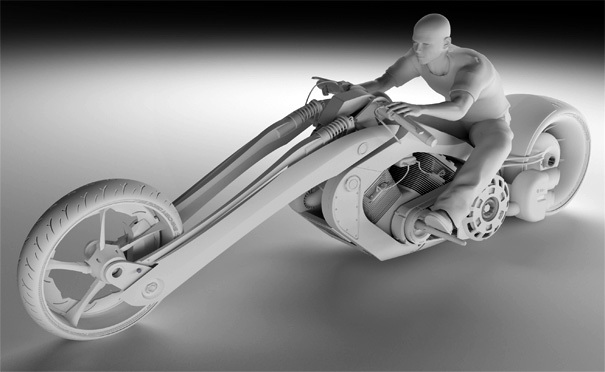 Jean Baptiste describes it as a “two wheel muscle car”, hiding it’s electrical drivetrain and batteries in the frame. Featuring a FORMULA 1 inspired KINETIC ENERGY RECOVERY SYSTEM (KERS), that essentially coverts your braking into energy. Originally conceived as a single global design, this customizable creation could be the shape of things to come.